The term colloidal silver inspires images of ancient apothecaries, selling medicinal herbs and potions to cure whatever ails you. As it turns out, colloidal silver may do just that. Colloidal silver is a mineral that is an electrifying mix of elemental silver suspended in distilled water. Although there is no solid scientific evidence backing up the many claims espoused about the use of colloidal silver, many have found that this healing liquid may help treat a variety of conditions. In fact, colloidal silver has been used for hundreds of years to treat such conditions as sinus infections and has been used as a disinfecting agent. One of the main thins colloidal silver is prized for is its ability to fight off infection. It is believed that colloidal silver helps aid the immune system in fighting off infection by overtaking single-celled organisms and inhibiting them from spreading and taking over. To ensure you’re buying true colloidal silver, you should examine the appearance of the contents. True colloidal silver should be colorless or a pale yellow color. Imitations will often appear dark. Colloidal silver that is darker in color contains larger particles that cannot be completely absorbed by the body, hindering the performance of the mineral. Another thing to look out for is that the colloids of silver suspended in the distilled water should be buoyant. Colloidal silver that sinks to the bottom or requires shaking is the mark of an inferior product. True colloidal silver is made up of a tremendous electrical charge that helps suspend the colloids in liquid. Colloids that sink do not contain this electrical charge. Colloidal silver has a rich history as being used as a disinfecting agent, effectively killing bacteria. The use of colloidal silver has survived over the ages and is still used to help prevent the spread of bacteria and therefore fighting illnesses. Anecdotal evidence has found that colloidal silver not only helps to inhibit and prevent the development of bacteria, it also works as an agent to help regenerate healthy cells in those who have sustained burn injuries. Those looking for an added boost in fending off harmful bacteria may find colloidal silver a welcomed addition to their medicine cabinet or first aid kit. One of the main things you will hear about colloidal silver is its ability to fight and stave off a wide array of infections. Unlike other antibacterial and antiviral agents, colloidal silver is believed to inhibit the growth and spread of all types of pathogens, making this little bottle of liquid a valuable source of protection during cold and flu season. Studies have found that all types of fungus, viral, and bacterial organisms cannot survive when exposed to colloidal silver. 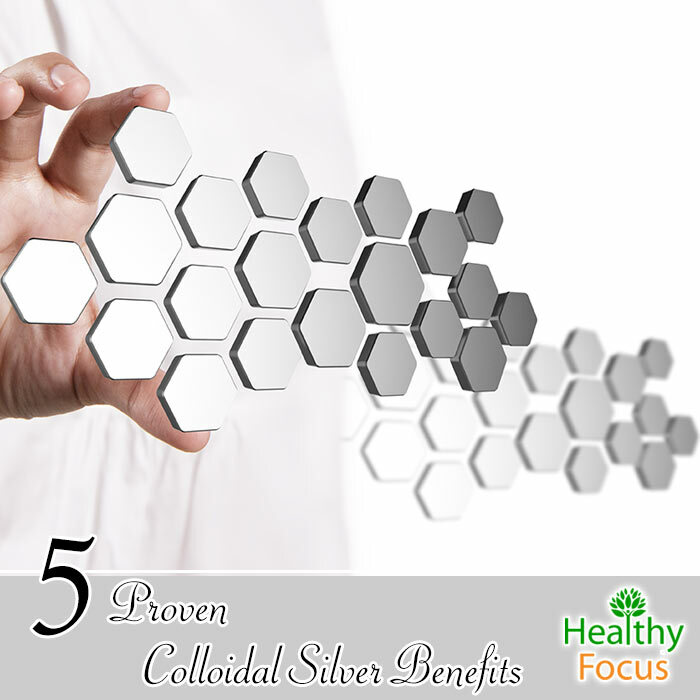 Colloidal silver has also been found to be effective against parasites. When food sits around for too long, whether it is on your kitchen counter or sitting heavy in your stomach, it starts to ferment. Now, we all know that when food is left to sit around, its starts to ferment and all sorts of funky things begin to happen. When food ferments in your stomach, it is uncomfortable and leads to a host of unpleasant symptoms such as bloating, gas, acid reflux and indigestion. If you struggle with digestion and want to help the process, a drop or two of colloidal silver will help prevent the fermentation process of the food and effectively prevent any uncomfortable digestive symptoms. This incredibly infections condition afflicting the mucous membrane of the eyeball can be caused either by a bacterial or viral strain. When colloidal silver is used as a treatment for pink eye, it binds all the compromised cells with a strong electrical charge and helps eliminate the infection. There are several different strains of bacteria or virus that can be responsible for an ear infection. To ear infections that appear to be impervious to antibiotics, colloidal silver may be your answer. There needs to be much more rigorous scientific research to explore these claims, but there is some indication that colloidal silver can potentially prevent the development of cancer. This is believed to be a potentially effective prevention method because colloidal silver encourages the action of rapidly dividing cells necessary to keeping organs healthy and free of disease. Colloidal silver can typically be applied topically on the site of infection. A drop or two should do the trick. To take colloidal silver orally, mix three drops in a large glass of water. Always consult your doctor before taking colloidal silver or using it to treat any condition. Colloidal silver is considered generally safe and is not known to interact with other herbs or drugs. When taken in large doses, colloidal silver may cause a condition called Argyria. Generally, Argyria is not harmful, however, it permanently causes the eyes and skin to become gray.